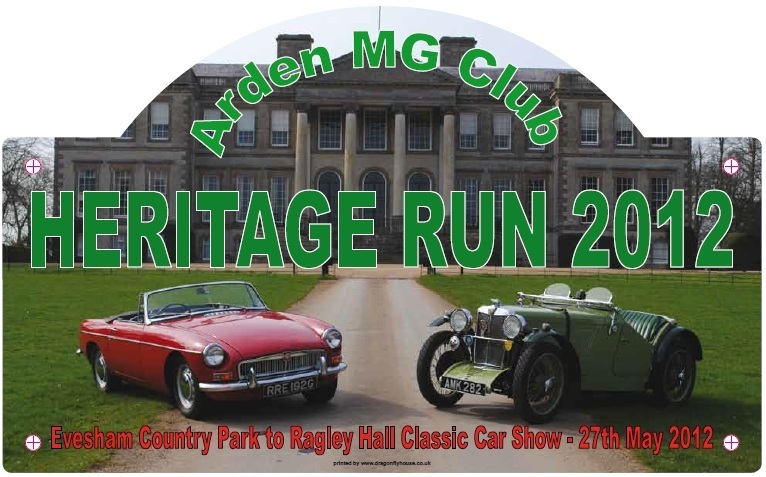 This year the Arden MG Club's Heritage Run took place on Sunday 27th May 2012. Each year the Heritage Run, which is an extremely popular event attracting between 120 - 200 MG cars, has finished somewhere different. The final destination has been selected for its historical or transport related interest. 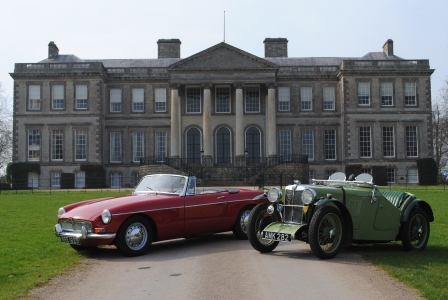 Past Runs have taken us to the site of the MG factory in Abingdon, visits to a motor Museum, to an air museum, to the Severn Valley Railway and last year to the Crick Boat Show. 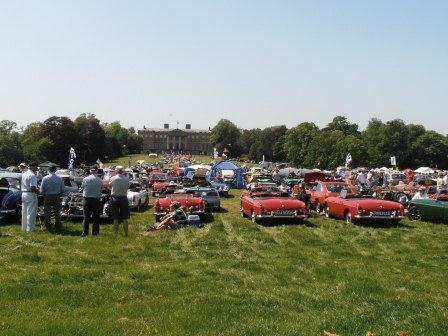 This year we are visited one of the country's premier Vintage and Classic Car Shows held at Ragley Hall, Warwickshire. 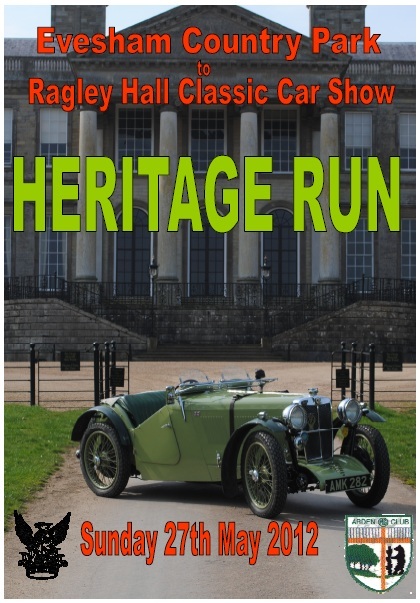 Ragley Hall is set in 400 acres making it an ideal venue for a Classic Car and Transport Show. Home to the Marquess and Marchioness of Hertford, the Hall is surrounded by delightful gardens, parkland, woodland and a picnic area overlooking the lake. The show usually includes over 600 Vintage and Classic Cars, American, Kit and Custom cars, Motorcycles, Commercials, auto-jumble and trade stands. There will be onsite catering along with areas for picnicking. The cars on the Heritage Run will have their own parking area and entry to the Show is included in the fee for the Heritage Run. The show entry also includes entry to the house. Dogs on leads are allowed on the showground and picnic areas but not in the gardens. This year we started from Evesham Country Park, before travelling to Ragley. The restaurant at the Country Park was open especially early for us in order to provide those essential bacon butties. The Run was approximately 60 miles and the Tulip Rally Instruction were in a special booklet. From start to finish the Run will meandered through some of the little known highways and byways of Warwickshire and Worcestershire, where there are some magnificent views of the countryside. The Arden M.G. Club is associated with the M.G. Car Club (Midland Centre) and the MG Owners Club.